Snap(shot) Judgements are posts that will appear with no real regularity. It’s primarily a way for us to get thoughts and photos up as soon as possible, especially when we have no plan to write a feature-length column on the subject. Here, Gary eats his way through the first session of the 2010 New York City Wine & Food Festival’s Grand Tasting. 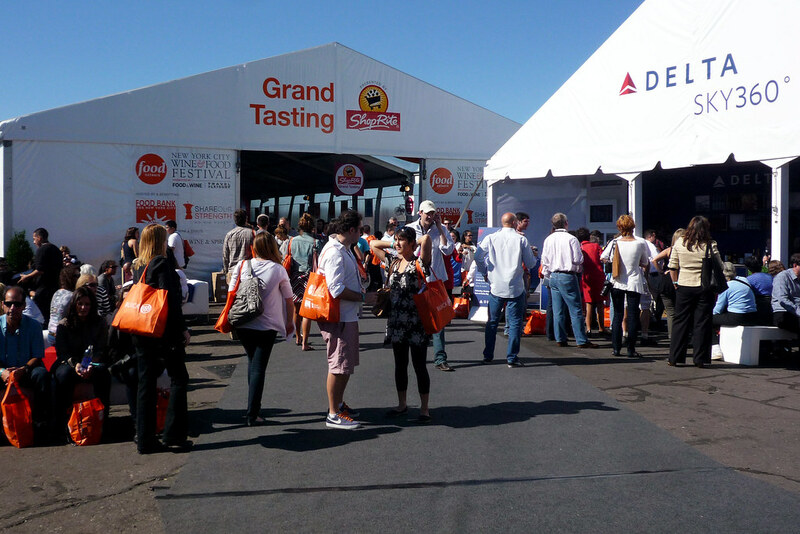 This past Saturday, it was fortuitous timing that I showed up at the Eater lounge when they needed someone to cover the Wine & Food Festival’s Grand Tasting. I was hungry and just wanted to jump right into the action so, with pass in hand, I was off to the piers by the Hudson River. Most of the atmosphere and food media-related photos can be found on the Eater write-up but if you want to see what the food looked like, then click on through this gallery.